CIO Renée McKaskle was given 24 months to push the company into the digital age. Hitachi Ltd. is proof that evolution fuels longevity. The 109-year-old Tokyo-based conglomerate got its start manufacturing electric motors for copper mines. Today its 844 subsidiaries around the world make an extraordinary range of products: everything from elevators to excavators, ATMs to air conditioners, software to steel. Together these products generate about $88 billion in annual revenue—and another valuable asset: data. The company has for decades been capturing extensive data detailing things like product performance and maintenance trends. Only recently, however, did it begin viewing all that information as raw material that can be leveraged to reveal patterns that can help predict equipment service needs. “We hoarded it, we stored it, but we didn’t realize the value of mining it,” Renée McKaskle says. She is the CIO of Hitachi Vantara. Its purpose is to help commercial and industrial enterprises “extract all the value their data has to offer,” according to a September 2017 press release announcing the new company. But her massive first task has been to unlock the power of Hitachi Vantara’s own data. 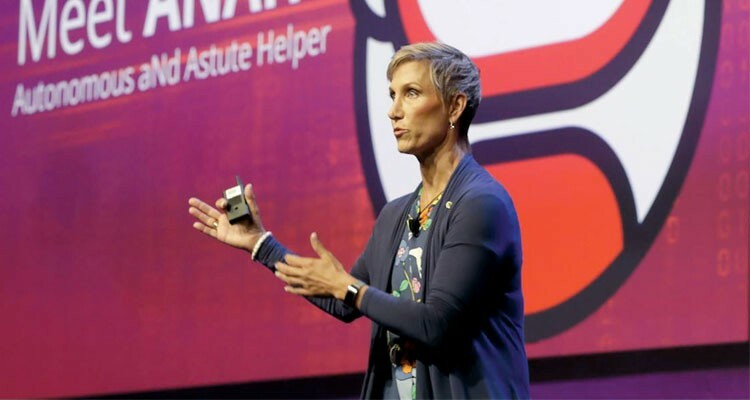 To that end, she is leading a two-year transformation initiative to help optimize IT services at Hitachi Vantara and extend those benefits across the entire Hitachi organization. Following leading IT roles at SC Johnson, Symantec and Oracle, she was hired in 2015 as CIO of Hitachi Data Systems, the $4 billion subsidiary that manufactured data storage systems and software. At the time, Hitachi had strength in IT as well as operational technology products and services. As the world entered the internet of things (IoT) era, Hitachi was looking for a way to help companies unlock the value of their data to transform their business and positively contribute to society. The solution: become a global IoT leader. To achieve this, Hitachi Ltd. needed to reorient its IT businesses around the new approach—and a new company. So it merged the data infrastructure assets of Hitachi Data Systems with the data software expertise of Hitachi Insight Group and the analytics capabilities of Pentaho to form Hitachi Vantara. 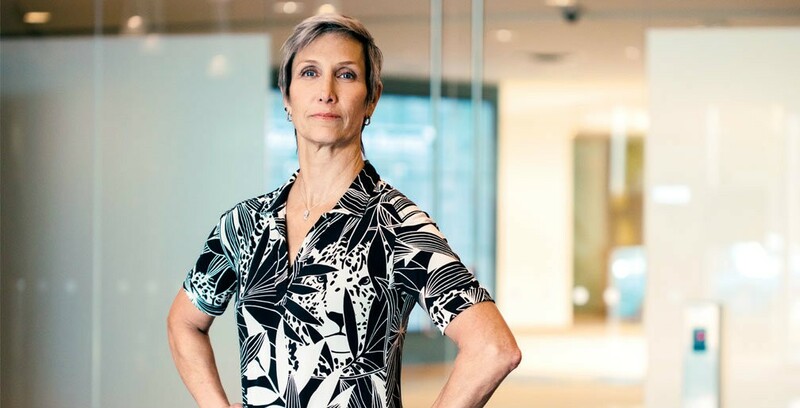 Helping drive Hitachi Vantara’s internal transformation, which the company dubbed Mirai (Japanese for “future”), presents not only a career-defining leadership opportunity for Ms. McKaskle. It showcases the deep value that CIOs can deliver as change agents. The open secret of the much-trumpeted big data era is that most of the data companies generate is never tapped for value. (Between 60 and 73 percent goes unused for analytics, according to Forrester.) Sales of every product Hitachi manufactures produce valuable data, Ms. McKaskle notes. “Even now, just a tiny fraction of the data we store gets used in any meaningful way,” she says. “Everybody knows that there’s gold in the hills if we can figure out how to mine it.” That is the whole point of Hitachi Vantara and the transformation it is spearheading. “If you haven’t turned the data into accessible digital assets, it doesn’t have value,” she says. Before Hitachi Vantara could help customers to leverage the power of their data, though, it had to lead by example by transforming how it operated. “You’ve got to walk that talk,” Ms. McKaskle says. The pace of transformation she has been pushing has been more sprint than stroll. Ms. McKaskle was given just 24 months to redefine every aspect of Hitachi Vantara’s IT organization, including its physical infrastructure and architecture, cloud strategy, business processes and core capabilities. “Renée knew it’s pointless to try to get a caterpillar to fly. So her first initiative was to turn IT inside out, to become customer-centered and consultative in approach,” Dr. Beckett says. One of the transformation’s goals is to leverage data to maximize IT talent. This led to the decision to build a chatbot called ANAH (Autonomous aNd Astute Helper) that uses machine learning and natural language processing to support employees who contact their IT service desk. By helping them with basic tasks, ANAH frees up IT service desk technicians’ time so they can focus on tackling more complex queries. As of mid-November, ANAH communicates in English and is text-based, but Ms. McKaskle’s team is working to expand the bot to 128 languages and create a voice-activated version similar to Alexa. Will ANAH Take My Job? Officially, Ms. McKaskle is in charge of the IT dimension of Hitachi Vantara’s transformation. But she knows a big part of her job is about changing the culture of the company. She spends much of her time helping people see the value of becoming a data solutions company. The change process affects everyone in the organization. Ms. McKaskle’s own IT organization faces a huge amount of disruption as employees change how they think, work and plan projects in a cloud-based environment. The shift from measuring success in terms of value created rather than outputs or deadlines can be difficult, she says. Employees worry about the skills they will need as they watch operations move to the cloud. The training element is critical: It shows employees that the company is going to help them transform their own skills so they can stay relevant—and employed—as the business model evolves. For example, the head of Hitachi Vantara’s IT technology operations and business management function is training his entire organization to work with cloud service providers so employees are prepared to support Hitachi Vantara’s on-demand cloud computing framework. “It’s a way for us to say, ‘Look, we’re all part of our new future,’” she says. Though Ms. McKaskle admits that even with a continuous effort to promote and communicate the value of change, be empathetic and support employees, winning everyone over is not assured. Too often when a decision has yet to be made, or cannot be shared publicly, employees fill in the gaps. The end of the two-year transformation is now in sight for Hitachi Vantara. Ms. McKaskle’s IT organization has already reached several major milestones. One was the migration of Hitachi Vantara’s company-owned data centers and on-premises customer relationship management system to a hybrid solution that includes the cloud. Another is developing a best-in-class data center that makes data more readily available to improved customer experiences, sales leads and predictions of new business opportunities. And in response to increasing demand for digital data value and insights, the company has overseen the hiring of 1,400 new employees to expand digital capabilities and workforce diversity. Ms. McKaskle is confident that the entire internal transformation to the cloud will be completed by the March deadline. “Twenty-four months is a pretty fast pace to complete a digital transformation,” she says. “Hitachi Vantara’s entire IT portfolio is completely different.” And it is only the beginning. As the company supports more than 10,000 customers in their own digital transformations, it will continue evolving its business model to embrace new services-led opportunities. Ms. McKaskle in part attributes her success at Hitachi Vantara thus far to support she has received throughout her career. 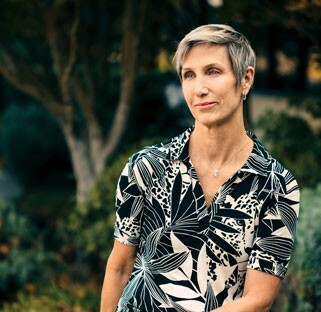 By working in companies that gave her the chance to demonstrate she could pave new ways to leverage technology for business value and social good, she has been able to turn passion into results.